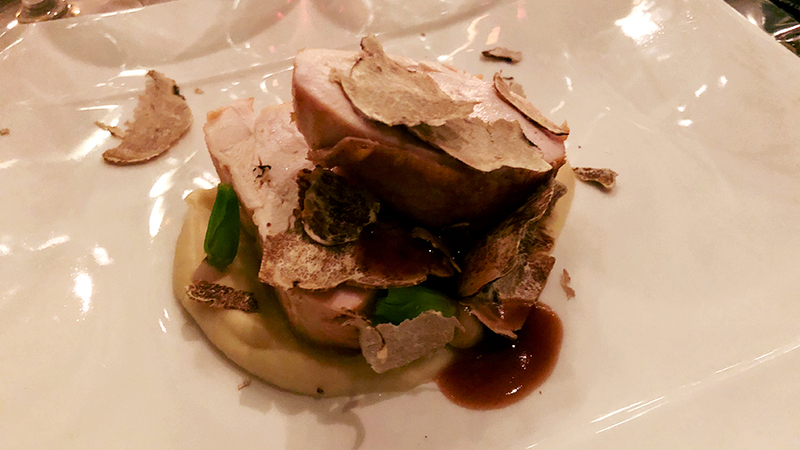 This spectacular charity dinner provided a great opportunity to indulge in a fabulous fall white truffle menu with a selection of fine Barolos and Barbarescos. The dinner, part of a lot I donated alongside Instagram CEO and Co-Founder Kevin Systrom and the Napa Valley Reserve, raised $160,000 for the children of Collier County, FL. I am deeply grateful to our generous donors for supporting this lot with such enthusiasm. I chose a range of wines, some younger, some older, with the goal of focusing on smaller, artisan producers and reference point vintages. I also wanted our guests to taste wines that are hard to find in the US either because of tiny production or as a result of prices that are starting to get out of control for most consumers. Overall, I was thrilled with how the wines showed. There was some bottle variation with the Cappellano. Other than that, the wines were simply exquisite. Sommelier Brittany Hastings and her team did a fabulous job with the wines, no easy task given the number of glasses that had to be served in tandem with the food. 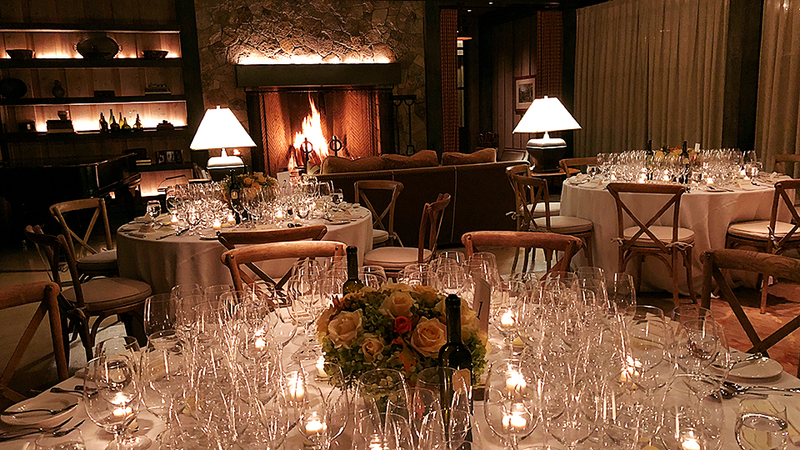 The Reserve’s small, downstairs dining room was the ideal setting for this intimate and relaxed fall dinner. Estate Chef Alexandro Ayala’s simple, ingredient-focused menu was perfect for the wines. 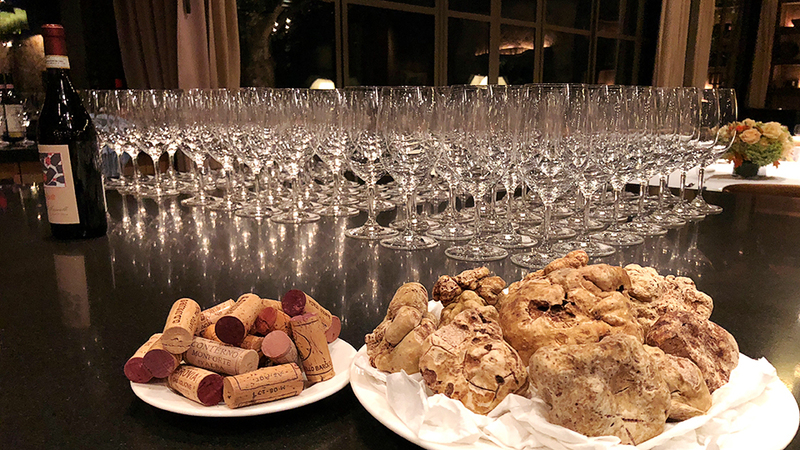 As Piedmont fans know, 2017 was not exactly a banner year for white truffles. I am not sure how one of our guests sourced the huge pile of truffles we devoured, but they were absolutely delicious and certainly among the best I had in 2017. My former boss and mentor Bob Parker used to say: “There is no such thing as a bad truffle.” I agree. 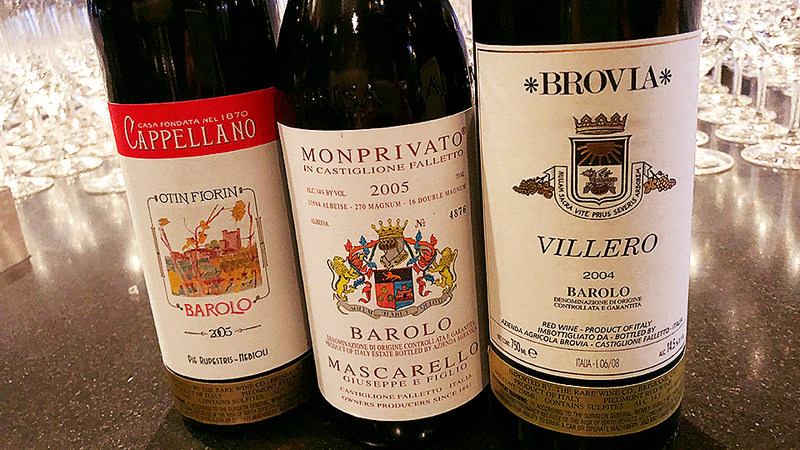 Our first flight showcases two fabulous 2008 Barolos, wines from a vintage that continues to impress. The Barolo Brunate (formerly Brunate-Le Coste) gets most of the attention at Rinaldi. I am curious to see how the Cannubi S. Lorenzo-Ravera is holding up. The answer is very well. Bright, linear and focused, in the style of the year, the Cannubi S. Lorenzo-Ravera is fabulous. It is perhaps a bit more austere than its sibling, but that just adds to its super-classic feel. I love the energy here. Vajra’s 2008 Barolo Bricco delle Viole has always been gorgeous. It is all that and more on this night. A bit more polished around the edges than the Rinaldi, the Vajra nevertheless remains faithful to the style of the year. The purity of the sculpted fruit and lifted aromatics is compelling. I also noted a bit more textural weight than in the past. What a wine! My initial thought was to focus on the 2013 vintage for this flight, but the Bartolo Mascarello is so young, I chose the 2012 instead. Canonica’s 2013 Barolo Paiagallo is another very pretty, translucent, classically built wine. Next to the other wines on the table, the Paiagallo comes across as a bit diffuse, with its aromatics, fruit and structure each in their own space and not woven together into a cohesive whole. The 2013 is still a delicious Barolo, but on this night, well, there are a lot of fabulous wines in the tasting. Burlotto’s 2013 Barolo Cannubi is a showstopper. Literally. Conversation stops as attendees taste the 2013. This is what top-flight Barolo is all about. In 2013, the Monvigliero has gotten most of the attention, and for good reason. It is a truly monumental wine. But the Cannubi is not that far behind. On this night, it is positively dazzling and every bit as profound as it has always been. The Cannubi has really soared in recent years as proprietor Fabio Alessandria has brought it inline stylistically with his other wines. The 2012 Bartolo Mascarello Barolo is just sublime. All finesse and silkiness in the glass, the 2012 is another reminder of what makes Barolo such a sensual and alluring wine. Best of all, the 2012 is not going to require years to be at its best. It is hugely delicious right now. 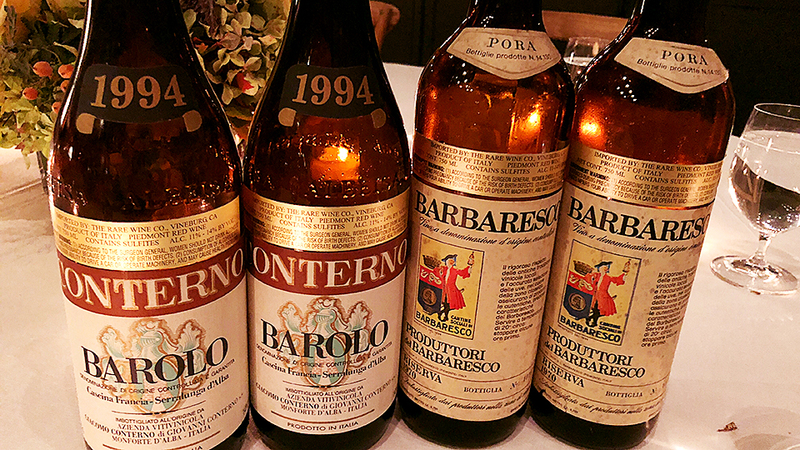 Our move into older wines features three exquisite Barolos. Mauro Mascarello’s 2005 Barolo Monprivato has always been fabulous. It is still all that and more. In 2005, Mascarello did not bottle his flagship Barolo Riserva Ca’ d’Morissio, opting instead to focus solely on the flagship Barolo Monprivato. The 2005 remains fresh and vibrant, with the typical red-fruited and floral notes that are so typical of this site. There is some variation with Cappellano’s 2005 Barolo Piè Rupestris. Even our spare bottle is not perfect. But the two best bottles are sweet, vibrant and layered, with great aromatic presence and fine balance. The Barolo Villero is not my favorite Brovia wine, so I don’t tend to reach for it very often. Perhaps that is a mistake. The 2004 is simply magnificent. Dense and powerful in the glass, with all of the alluring aromatics and balsamic notes that are typical of this site, the Villero simply has it all. Although the food and wines were both top-notch, what I remember most about nights like this is the conversation, questions and genuine passion that the great wines of Piedmont always seem bring out in a group. More than a few white truffles and a spectacular fall Napa Valley setting didn’t hurt either.